Pharmaceuticals play a major role in today’s population health era – they can prevent and cure disease, improve or maintain wellness and slow progression of existing conditions. Yet, their promise can also be a curse if high prices limit patient access and bankrupt the healthcare providers and insurers bearing significant financial risk for patient care. The proactive new leadership at the FDA is promoting competitive markets by combatting the abuse of well-intentioned programs and market share monopolies. Commissioner Scott Gottlieb has ramped up the FDA’s efforts to prevent drug manufacturers from “gaming the system” in a number of ways. For the first time, the FDA made publicly available a list of off-patent, off-exclusivity branded drugs without generic competition. Using the list, Premier immediately identified a number of critical drugs for patient care and has been working with manufacturers to participate in the FDA’s new expedited review process. Additionally, Congress recently enacted legislation creating an expedited review process for generic drug applications when there are fewer than three manufacturers in the market for a given drug product. We strongly support and helped to champion these efforts, and are hopeful that the FDA will use this new authority to foster competition and curb price spikes and shortages in generic drugs where only a few players dominate. We anticipate the FDA will soon release key documents to streamline the Abbreviated New Drug Application process, which will help eliminate unnecessary, duplicative procedures and greatly increase efficiency without compromising standards. Commissioner Gottlieb has strong words for abusers of the REMs program, stating, “some manufacturers are… using the law as a way to delay the ability of generic firms to purchase the doses of a branded drug that they need to run their studies and get to market.” The FDA has been taking important steps to help prevent exploitation of the loophole by releasing draft guidance to stem drug manufacturers’ abuse of REMS. We also call on Congress to level the playing field for new market entrants that foster competition in order to drive down inflated drug prices. Policy change is urgently needed to close loopholes and get competitive entrants into the market faster. The Fair Access for Safe and Timely (FAST) Generics Act and the Creating, Restoring Equal Access to Equivalent Samples (CREATES) and Preserve Access to Affordable Generics Act are clear, bipartisan solutions to curb abusive, anticompetitive business practices that are driving up unsustainable spending within healthcare and impede patient access to generic and biosimilar medicines. We know competition works. Our aggregated group purchasing power alone puts manufacturers through a head-to-head bidding process that brings results. Premier’s drug portfolio prices have held constant at just 4.55 percent per year, well below the inflation rate of 10 percent over the same time period on all drugs with no contractual terms. While the FDA has made significant progress toward adopting policies that push more competition, there still is a long way to go before these policies have a real, meaningful upstream effect. From reducing and prioritizing backlogged approvals, accelerating entrance of biosimilars into the market and facilitating increased competition around branded drugs, stakeholders from across healthcare, including Premier, are ready and willing to work with the FDA to bring in more manufacturers into the fray and foster healthier markets for pharmaceuticals. Calling out the abuses is important, but we badly need action by both FDA and Congress. 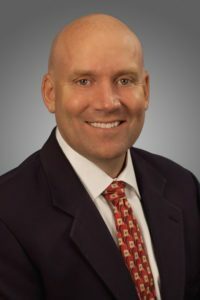 Michael J. Alkire is chief operating officer of Premier Inc., a healthcare improvement company. The shell game is profound. Barry- Iam off this week and would have to pull out budgets at my office, but I generally think of pharmacy costs as running around 10% of total inpatient costs. That includes the cost of pharmacists and drug machines, so I would have look at our details. Steve — Thanks as always. Please tell me how this will be able to mitigate the traditional business model of Big Pharma and its effect on over-all healthcare that is to eventually become EQUITABLY available, ECOLOGICALLY accessible, JUSTLY efficient AND RELIABLY effective for each citizen, community by community. By traditional business model, I mean: 40% of annual cash income is equal to net income (aka profit) plus the expense of business promotion (aka marketing).